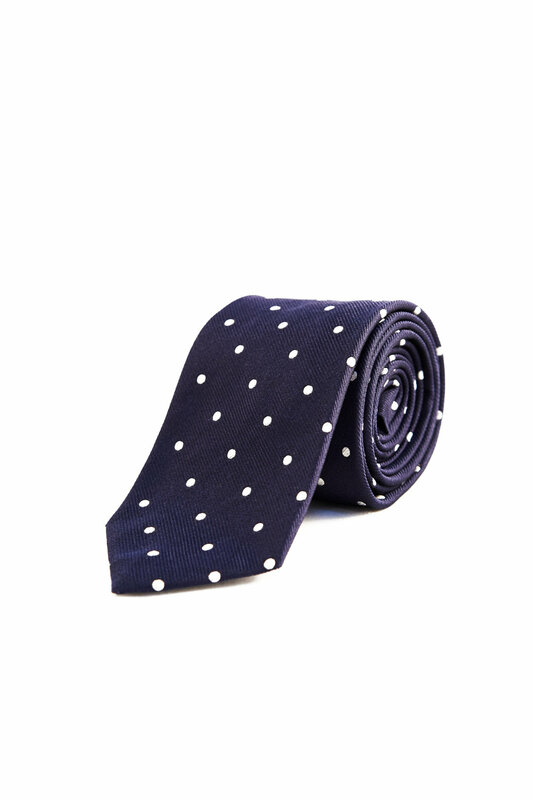 Garrison Essentials Polka Dot Jacquard Como Tie. Our latest release from Essentials is a silk jacquard tie patterned in classic tonal polka dots. 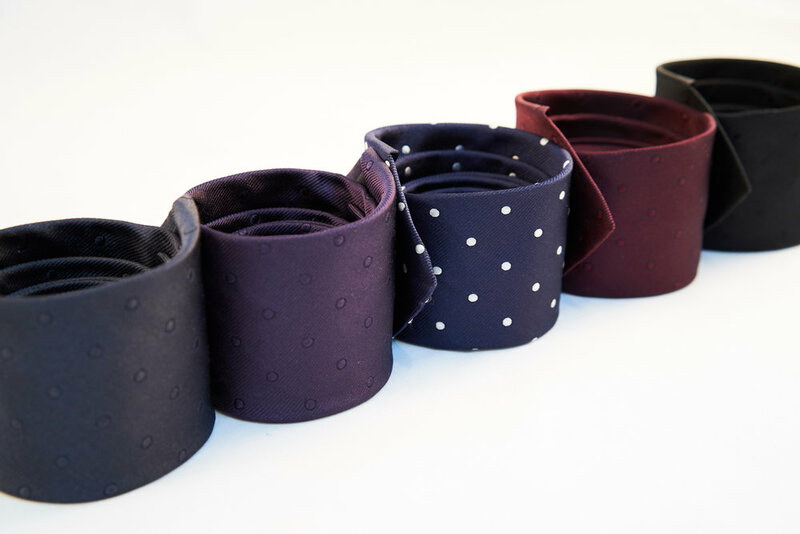 A tie with incredible lustre and elegance, and a touch of playfulness. Hand made with our maker in Como, Italy and featured as the main accessory of choice for Gabriel Macht at the Royal Wedding. Showing personality without being overly bold, our Essentials Polka dot tie is perfect for any dress code complimenting a range of shirts. Done in a tonal dot and jacquard weave for timeless elegance. Adding in the classic two tone navy white for an option with a pop of colour contrast. Cut slightly slimmer at 2.75”.